Last week, I did this post on the three mainstay components of my regimen that I believe have allowed me to retain a lot of length: Moisture, Protection and Strength. I’ve shared how I do these three things over the course of the last year through a variety of posts. Well, I thought it might be a good idea to put the links to these articles all together in one place. As new readers come to discover the site and “old” readers want to find a post that they know they read, but just can’t find, thought it would be helpful to have a “Library” for quick reference. I hope that you agree! So, here is Part Two of How I Retain Length with links to core posts related to my regimen! 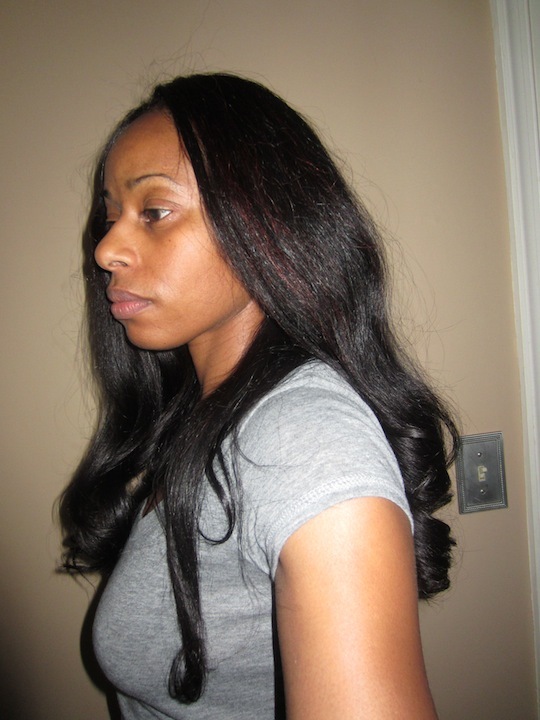 I have truly realized the importance of treatments that reinforce and strengthen the hair strand. And that’s it! Enough isn’t it?! I’m nothing if not thorough ;). 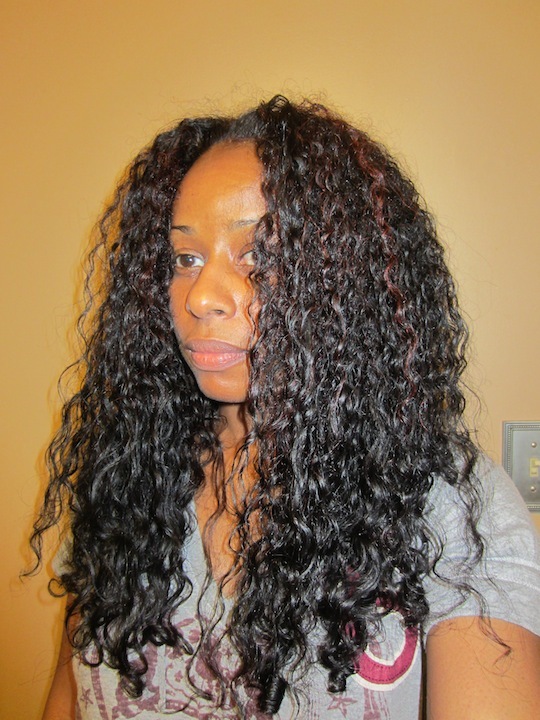 How do you moisturize, protect and strengthen your hair? Last week, I mentioned that I was getting quite a few questions about what I do/did to get my hair to its current length. Usually when I get asked that question, I’ll point to my regimen post. But, to be honest, that is ever evolving and what I may be doing or using today may be totally different a week or two from now. So, I started to think about the various Tips and Tricks that I’ve shared over the last year. Then, I grouped them into categories of things that I consistently do to retain as much length as I can. Right now, my hair is the longest that it’s ever been in my life … not ADULT life … my ENTIRE life. I have what is viewed as a “looser curl” and some assume that length automatically comes with that. However, I was not one of those little girls with a thick, long ponytail hanging down her back until the yearning for a “perm” set-in and destroyed her long, luxurious mane. 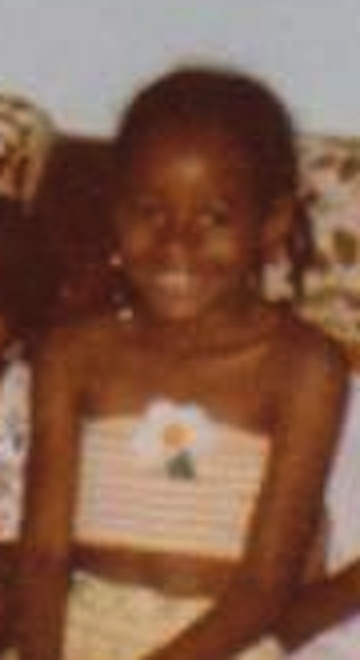 Instead, my hair was fine, frizz prone and armpit length was probably the longest it ever was pre- or post relaxer. 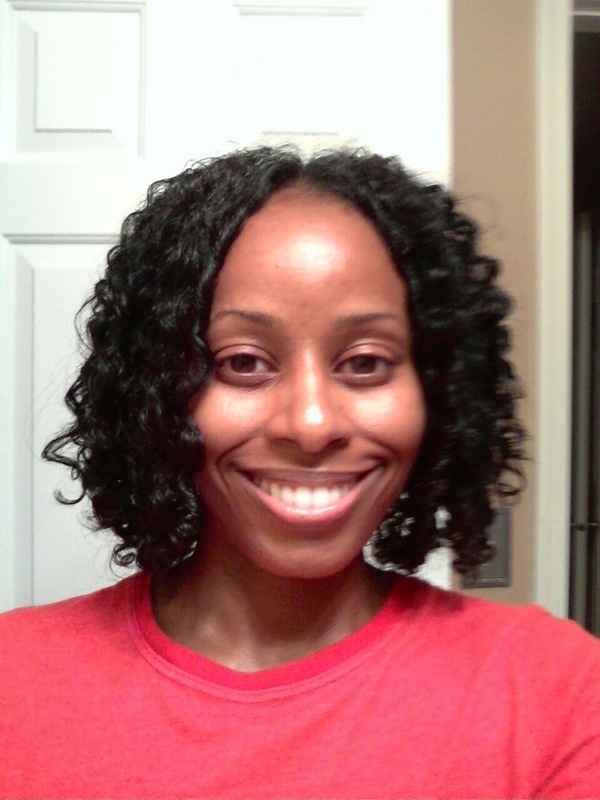 All this to say that, at 40 years of age and 12 years natural, my hair is the longest that it has ever been … EVER. Now here’s the disclaimer! LOL! This post isn’t to say that I’ve got this length retention thing down to an exact science, that my methods are the only ones that work, that I don’t have setbacks or that I have a perfect head of hair. 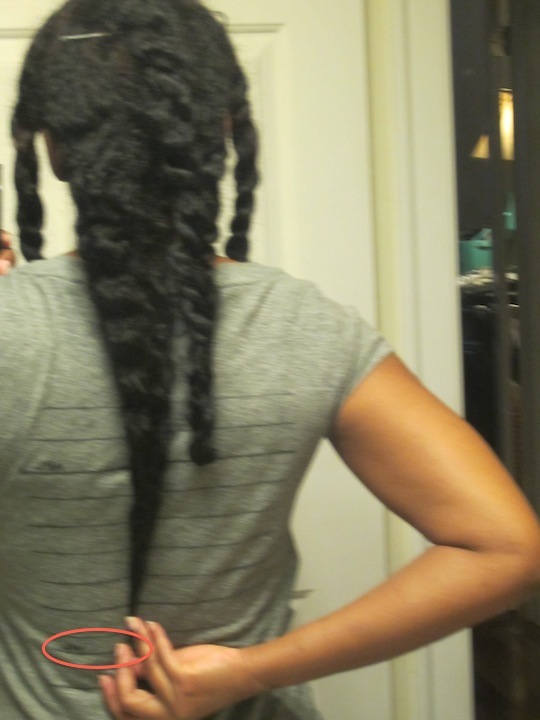 I am trying to grow out a shorter, dryer, coarser and more breakage-prone crown, a shorter nape, transition out henna-loosened ends and recover from the amla induced “Great Shed of 2010.” I don’t have a perfectly even, thick perimeter and although my longest areas have reached waist length, not all of my hair has (I’m testing Chicoro’s “Lead Hair” Theory and the goal point method of trimming). So, yeah … my hair is a work in progress and I hope some of the things that I learned and began incorporating late last year will help me to achieve healthier, thicker, stronger and longer hair in the twenty twelve!! So, without further ado, here are the 3 things that I am doing to “grow” my hair long or, more accurately, retain the length that I grow! 1. MOISTURIZE: Every week (or two weeks at the most), I pre-poo with Vatika or coconut oil, deep condition, apply a leave-in conditioner and seal with an oil. I re-apply a water-based moisturizer and seal between wash sessions, as needed. 2. PROTECT: I’m not just talking about protective styling. 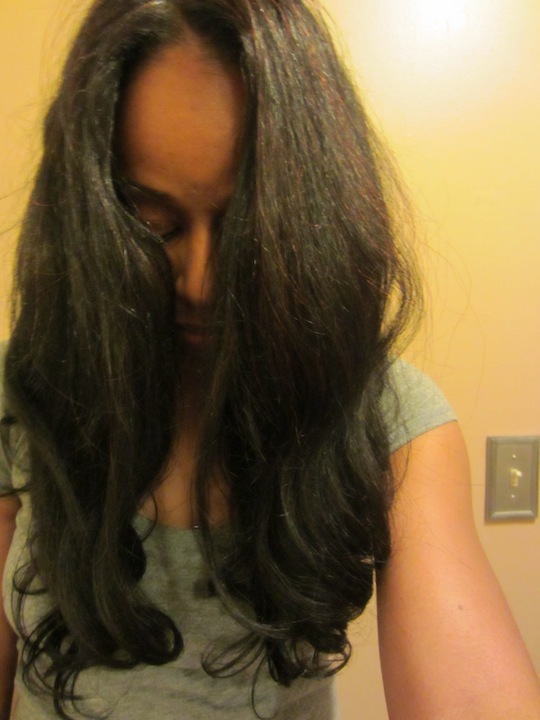 I think about protection as everything I do to reduce stress on my hair and prevent “premature” breakage. I finger detangle, use gentle hair accessories and tools, search and destroy to trim knots and splits that can cause “collateral damage” to adjacent strands, sleep on a satin pillowcase, wear a satin scarf or bonnet every night and wear low manipulation/protective styles that tuck away my ends 5-6 days a week. 3. STRENGTHEN: Throughout most of 2011, this element was largely missing from my regimen and I think it resulted in preventable breakage. But, I rectified this in November 2011, learned how to use protein correctly and began incorporating strengthening protein treatments every 2-3 weeks, or as needed. I also use henna. But, as I do roots-only treatments due to curl loosening caused by repeated applications, it isn’t sufficient as a strengthening agent alone. 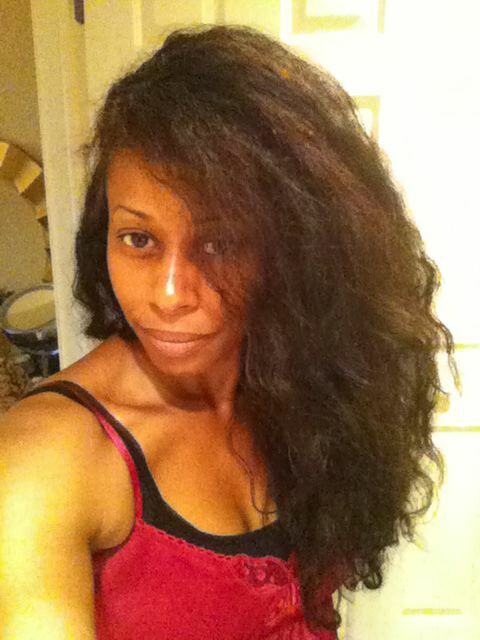 So, it became imperative for me to begin using protein to reinforce the “structural integrity” of my strands. Here are a few pictures that show my progress from 2008, when I had my hair cut to ear length straight, to present. 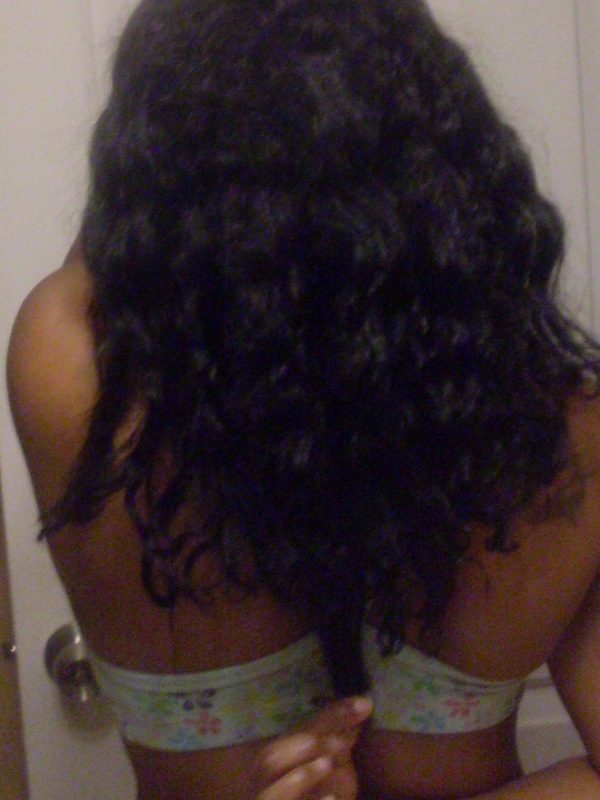 Check out How I Retain Length-Part Two here. 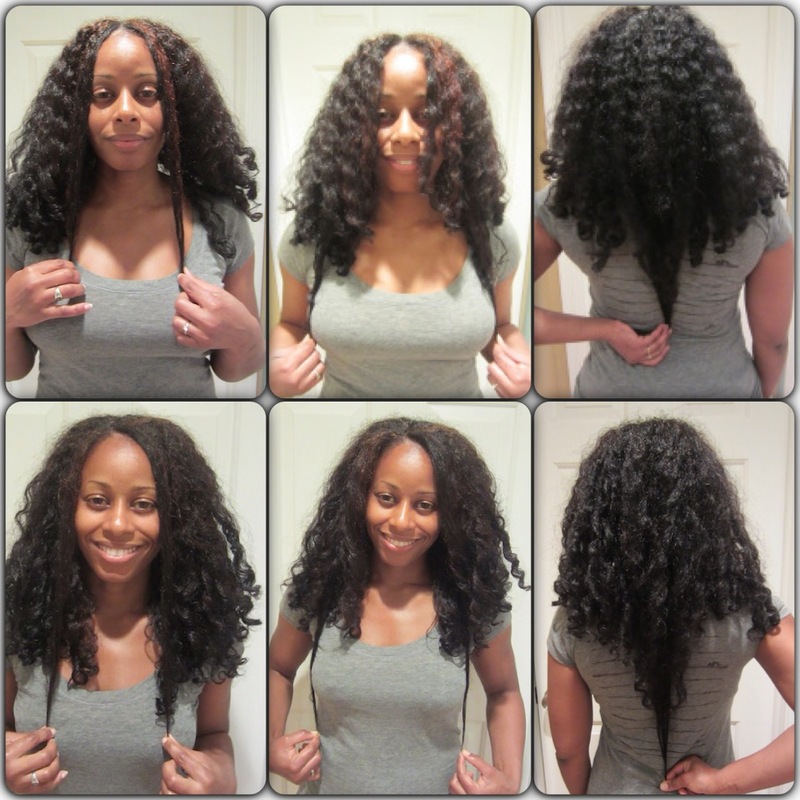 What do you do to retain length?